After 2.5 years of usage, my old backup drive (Seagate Barracuda Green 2TB) failed. 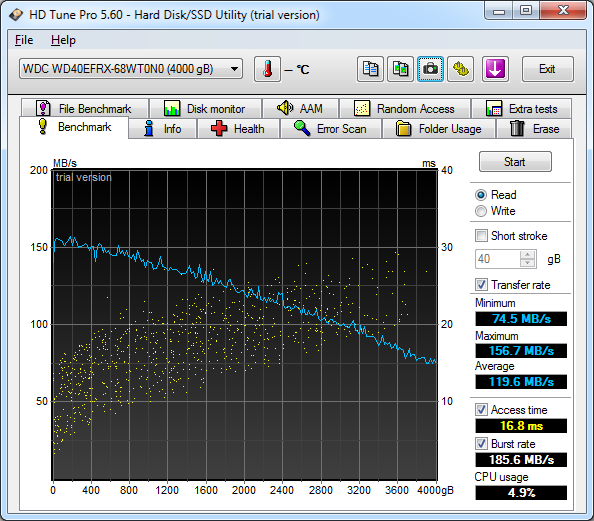 Drive usage was minimal, but it was on 24/7. 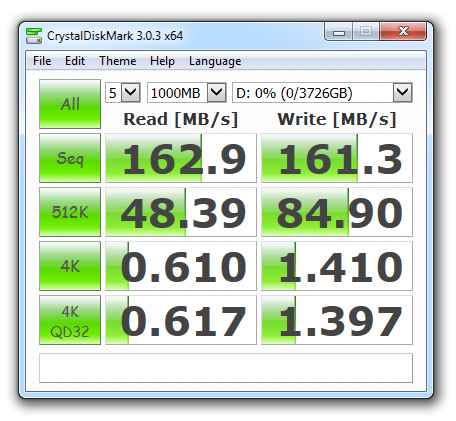 New disk decided to be NAS specialized 4.0 TB. 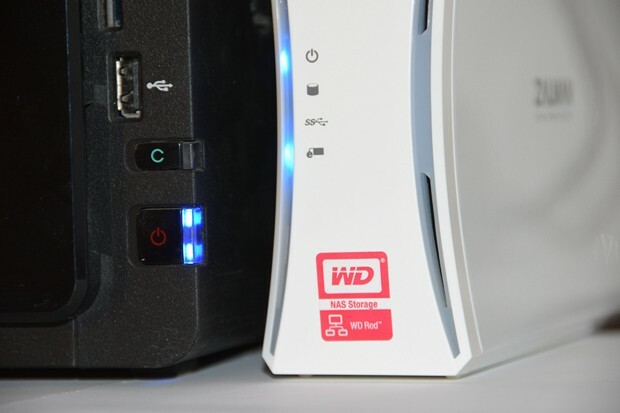 Since I believe, it will be backup for this and next generation of home storage. I hope it will serve more than 2.5 year. 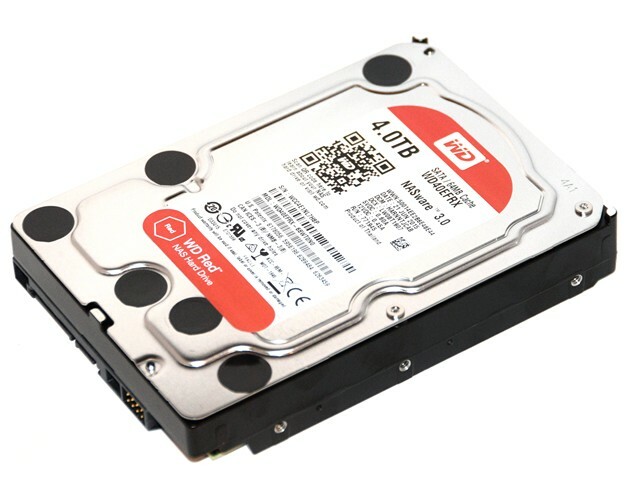 So this time disk is WD Red NAS Hard Drive 4.0 TB WD40EFRX. 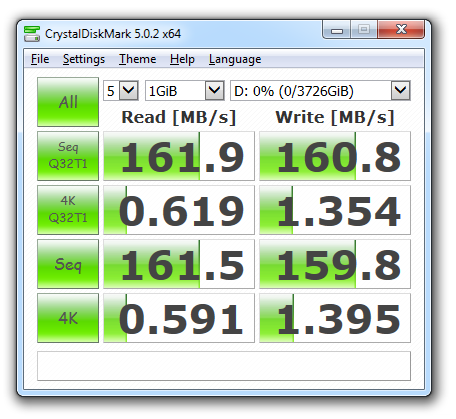 Before start using it as eSATA backup did some speed tests using USB 3.0 connection to Windows 7 PC.